Home Precision Medicine Research Another Hurdle for CRISPR-Cas9? Scientists at the Wellcome Sanger Institute in the U.K. have reported another potential hurdle for the CRISPR community, publishing findings today that call the precision of CRISPR-Cas9 gene editing into question. While much work has addressed the specificity of CRISPR-Cas9 editing to target the gene of interest and not result in “off-target” edits, the new study warns that CRISPR-Cas9 can lead to undesired “on target” deletions and rearrangements at the site of the gene of interest. The authors also argue that some of the larger genetic changes would not be detected using commonly used assays in the field and have likely been missed by the standard PCR-based methods used for detecting DNA changes. Dr. Bradley and colleagues do not mince words on how significant their findings may be for the future of CRISPR-based human gene-editing applications. Extensive on-target genomic damage may have “pathogenic consequences,” the authors state in the paper. Moreover, they state that “in the clinical context of editing many billions of cells, the multitude of different mutations generated makes it likely that one or more edited cells in each protocol would be endowed with an important pathogenic lesion.” Dr. Bradley even invokes the disastrous results from some of the early gene-therapy trials about 15 years ago, when the accidental activation of the gene LMO2 by pro-viral insertion led to cases of cancer. However, some experts such as Fyodor Urnov, Ph.D., associate director at Altius Institute for Biomedical Sciences in Seattle and a pioneer of genome editing, feel that claiming “pathogenic consequences” is an “extraordinary overstatement” and told GEN that the results were not altogether surprising. The report will naturally add to the scrutiny of a number of biotech companies hoping to advance CRISPR into the clinic. “A little bit alarmist” was how Tom Barnes, Ph.D., senior vp, innovative sciences at Intellia Therapeutics, a publicly traded biotech company commercializing therapeutic applications of CRISPR gene editing, characterized how the new report was written. Dr. Bradley, it should be noted, is one of the pioneers of gene targeting technology in mice dating back more than two decades and was the director of the U.K.’s flagship genome research center, the Wellcome Trust Sanger Institute, from 2001-2010. Michael Kosicki, of the Wellcome Trust Sanger Institute and the first author on the paper, introduced Cas9 and guide RNA (gRNA) constructs targeting intronic and exonic sites of a gene called PigA into mouse embryonic stem (ES) cells, both of which resulted in PigA-deficient cells. Interestingly, when Kosicki and colleagues specifically targeted sites that were located in introns, hundreds of bases away from the PigA coding region in areas where mutations would not be expected to cause a problem in function, they still recovered PigA-deficient cells. When they amplified and sequenced a large region of the target area from pools of cells, they observed “a depletion of read coverage on a kilobase-scale around the cut sites, consistent with the presence of large deletions.” To confirm these results, they isolated single-celled clones of CRISPR-Cas9 treated cells and used PCR to characterize the genomic region, confirming the presence of larger deletions and rearrangements. They also observed alleles in which the intronic gRNA caused an inversion of a region containing the exon. They go on to say that these would have been easy to miss if the assessment had been limited to the immediate vicinity of the cleavage site resulting in their phenotypic consequences being underestimated. “CRISPR encompasses much more than double-stranded DNA breaks and error-prone repair,” Dr. Hsu comments. “Importantly, other CRISPR-based platforms such as base editing, transcriptional perturbation, or RNA targeting are not affected by these findings” because they do not rely on double-stranded DNA breaks. 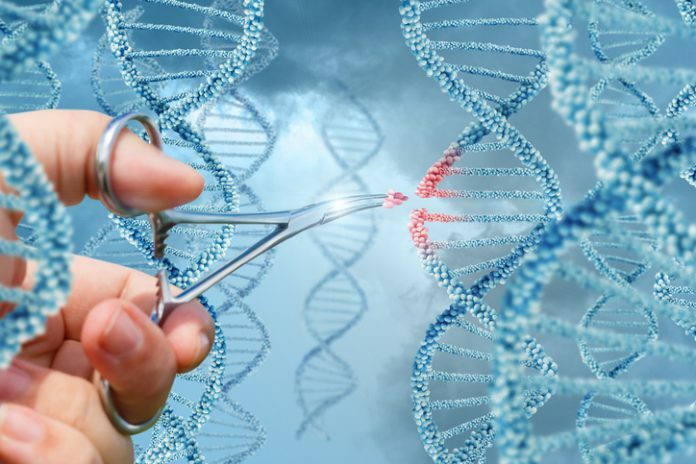 Over the past 15 months, CRISPR-Cas9 gene editing has been the topic of a series of reports raising potential safety concerns regarding the specificity, immunogenicity and tumorigenicity of the technology. In May 2017, Vinit Mahajan, M.D., Ph.D.’s group at Stanford University published a paper entitled “Unexpected mutations after CRISPR-Cas9 editing in vivo” in Nature Methods, which called the safety CRISPR-Cas9 technology into question due to widespread off-target effects. That paper triggered a strong response from industry and academic researchers. In time, Dr. Mahajan’s group published a follow-up preprint in bioRxiv followed by a retraction of the original paper earlier this year. This drama was followed by two other scares; a preprint from Matthew Porteus, M.D., Ph.D.’s group at Stanford University last January that there are pre-existing immune responses (both humoral and cell-mediated) to Cas9 in humans, suggesting that some individuals may be immune to CRISPR-Cas9 based therapies and more recently, a pair of papers in Nature Medicine suggesting that selecting CRISPR-edited cells may also select for cells with a p53 mutation which could result in cancer.